After a considerably long gap, I was assigned the task of going through a training on Solaris Cluster for some our Employees in Bangalore. Like I said elsewhere, the concepts of Cluster are too good to be forgotten. If you already work on Cluster, you might want to test your knowledge by appearing for the cluster certification exam. Details are here. On a week when Delhi recorded the worst fog in the last seven years, I was going through a Directory Server training for the folks in the picture below; my third consecutive training on Sun Directory Server. Thank you folks for some great memories; more so for the wonderful gift. 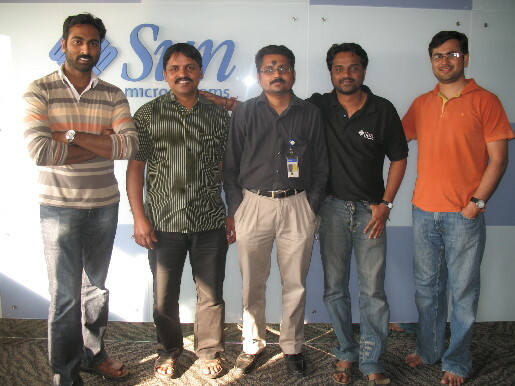 Last week I went through a training on Directory Server 6.x Analysis & Planning at our office in Bangalore.